When starting a massage business you can start with a simple massage business plan to help you gather your thoughts and ideas about what you see for yourself and your massage business. As a sole proprietor, doing this once a year or more if needed can help keep you on track for starting and building your massage business. It really doesn’t have to be anything fancy unless you are planning on building a large office/spa and hiring other massage therapists. For just starting your basic massage business, start with the basics and start where you are. It doesn’t take much money to start a business, but it will take time and energy to get clients in the door and coming back. 1. General Overview: Vision/Mission/Purpose and Values Statement. A vision statement is a few sentences that sums up what you see is possible in your business. It pulls you forward when the going gets tough and keeps you on track. A purpose statement will talk about the things you will need to learn or become in order to fulfill your vision. You might need to take classes in marketing, website design, public speaking, massage techniques or whatever. 2. Who Will Your Clients Be? Who is Your Ideal Client? What does your Ideal Massage Business Look like? It is not only about demographics but what your client values. 3. How will You Get Clients? Marketing, advertising and work of mouth is how you will get clients. Creating a marketing plan that is in tune with your vision and mission statements will allow you to make better decisions about your business and clients. 4. Financial Projections – what will your expenses be and how much do you plan to make? 5. Marketing Analysis. Doing a Marketing Analysis will help you understand what people want or if they even do want massage services. You can start by actually going door to door in your neighborhood and asking people for their feedback on specifically designed questions about massage. You can also do market research by using some keyword search tools and find out how many people are looking for massage online in your area. 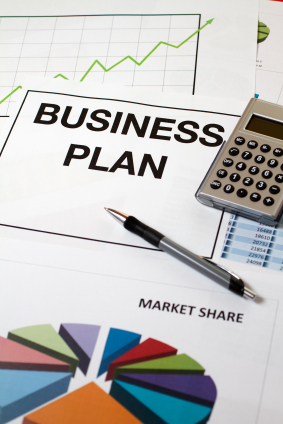 “A massage business plan serves many functions and it can dramatically increase your chances of success. It’s a powerful declaration of your goals and intentions, a written summary of what you aim to accomplish and an overview of how you intend to organize your resources to attain those goals. Hello my name is Erli and I am managing and working also like a therapist in a hotel that have an external massaget place and I found your informations very helpfull about my career that is on a good going road. Thank you!